Elizabeth Dunford (Lizzy) is the Global Database Manager for The George Institute for Global Health's food policy group where her main responsibility is the day to day management of a global branded food composition database which tracks the nutritional content of processed foods around the world. She is also a Project Officer for the Australian Division of World Action on Salt and Health's (AWASH) Drop the Salt! Campaign where she manages the Australian branded food composition database that is used to monitor the sodium content of Australian processed foods. 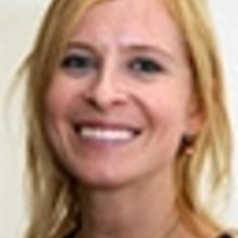 Lizzy has an undergraduate degree in Human Nutrition, a Masters degree in Public Health, and has completed a PhD in Public Health at The University of Sydney where her main research focus was examining how branded food composition databases can be used to monitor changes in the nutrient composition of processed and fast foods. Lizzy is a Registered Nutritionist with the Nutrition Society of Australia, and an Associate Member of the Dietitians Association of Australia.